First step is to remove the Cover for the rear compartment. ***Warning Do NOT DISCONNECT your BATTERY or PULL the FUSE on an with the Key on or until 90 seconds after your key has been turned off. 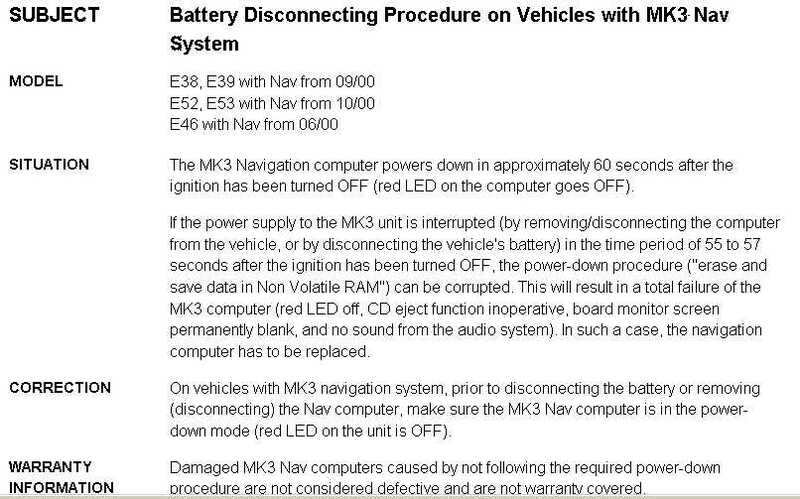 Always let your Navigation computer spin down completely allowing the red led to turn off see TIS Supplement on MKIII Computers Although this warning is for MKIII systems it is a good pratice to follow. Close up of what you are doing with the coat hanger. You only need to push in far enough to unlock the catch. Bimmernav now ships our navigation computers PRECODED with the latest Firmware so that you do not need to do the final step of software coding during installation. When you order from Bimmernav we will ask the BMW or Range Rover module and year of your car and code the navigation system appropriately. The MKIV navigation system is coded with US English, GB English and Spanish, however if you prefer any other BMW supported languages, please indicate your preference when ordering. The following steps are for reference and only used if you are not purchasing a PRECODED MKIV navigation unit from Bimmernav: Once complete, turn on your ignition to run, and if instructed, insert your Navigation Computer Software disk and follow the onscreen instructions. Do Not Power off vehicle, or even close a door. You could cause irrecoverable damage to the navigation computer. 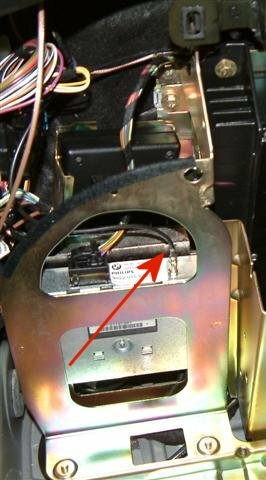 If you purchased an MKIV from Bimmernav, the latest version of the BMW software WILL BE PREINSTALLED AND YOUR UNIT WILL NOT NEED ADDITIONAL CODING .